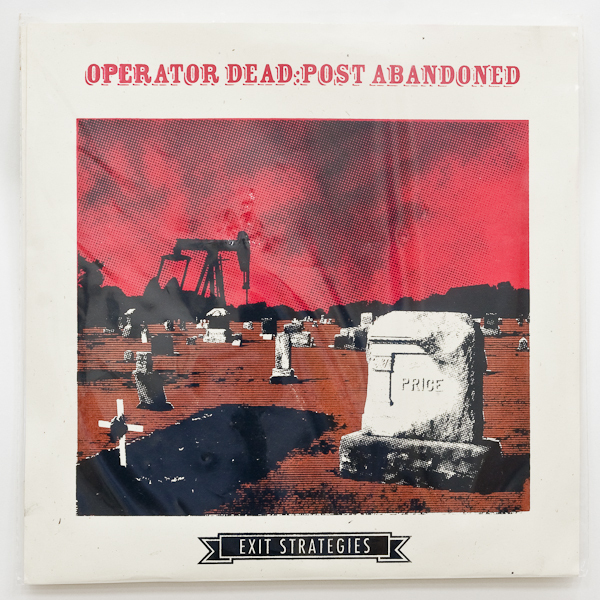 Record sleeves for the Operator Dead:Post Abandoned album Exit Strategies. Designed by the band, executed by me. 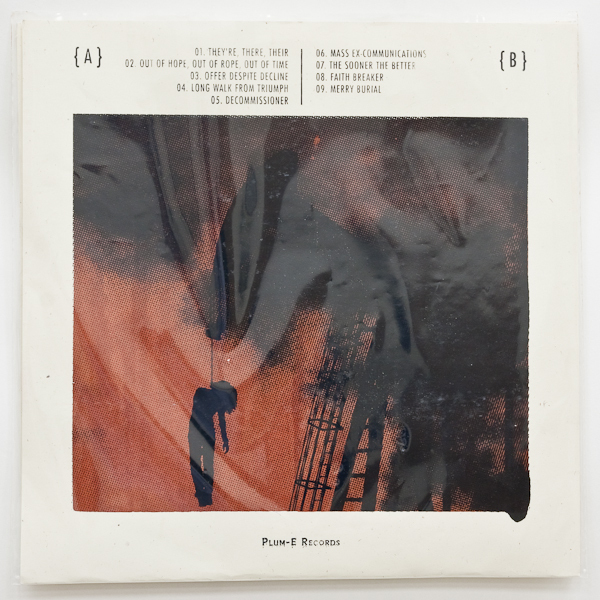 I was over ambitious, should have used solvent based silk screen ink. And printed better. Watch James and I printing.